The bright colored custom plush toys like Color Bear Black will definitely become your customers' new favorite. The cute imprinted plush animal comes with soft fur body and flexible legs and arms to impress any recipients, young or old. 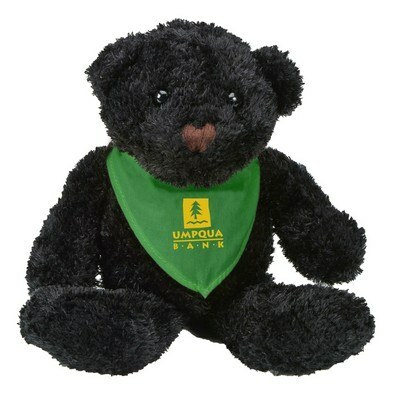 Bright black colored bear with brown nose imparts huggability to the animal. It features a sporting small t-shirt which can be customized to your brand in a color matching your logo. 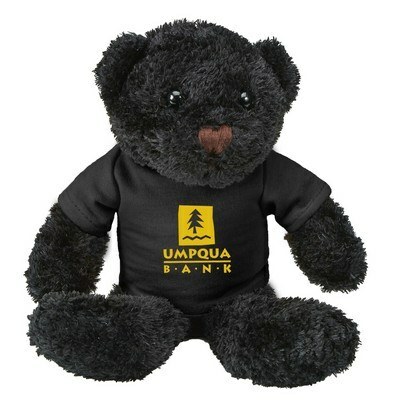 This plush animal is a great choice for fundraisers, schools, hospitals, zoos, gift shops and promotional events.